The Financial District just got a little sweeter: SusieCakes, a bakery chain serving desserts, cupcakes and custom cakes, has opened in the neighborhood at 50 Fremont St.
SusieCakes, which has another San Francisco location at 2109 Chestnut St. in the Marina, serves fresh cakes, cookies and pies every day. The menu includes treats like red velvet cupcakes, frosted sugar cookies, brownies, lemon squares and whoopie pies. So far, the new addition has earned a five-star rating out of two Yelp reviews. "I love everything that Susie makes, it's all delicious and pretty," Yelper Judy K. said. "I literally cried tears of joy when I found out they were coming to my work neighborhood, and I can now enjoy them on a daily basis without going to the Marina." Yelper Pat M. added, "Great addition to the neighborhood, although kinda cruel to put it right next to the Soul Cycle. 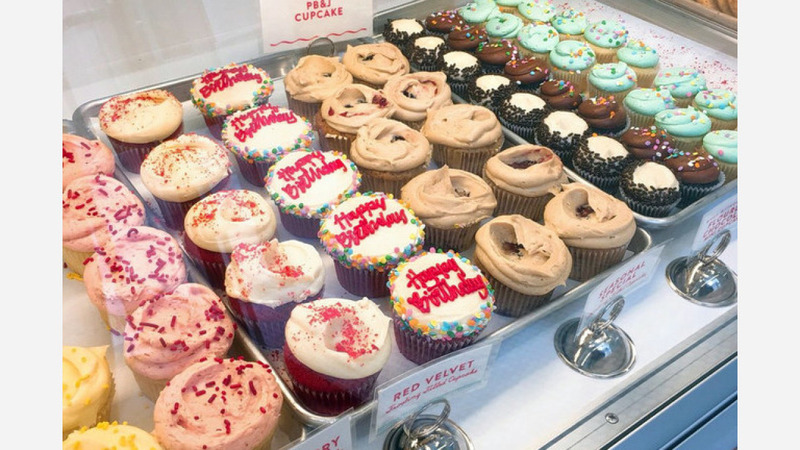 Great cupcakes, and I love the fact that you can buy slices of full size cakes as well."